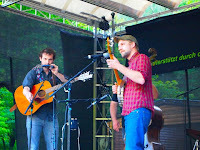 The 40th edition of the oldest European bluegrass festival took place at the weekend of 15-17 June 2012 in Čáslav, Czech Republic, in the open-air cinema. Twenty-seven bands took part including the great (and very well received) Canadian act Oh My Darling and legends Eddie and Martha Adcock with Tom Gray. The latter made some hard-core fans almost cry as their appearance was a dream coming true for many. The weather was great; a Vecerek guitar was successfully auctioned [see the happy owner, Tomas Honek (also a taekwondo trainer), on the right]; luthiers Čapek and Prucha showed their instruments; children liked the theatre as well as painting; the face-to-face workshop with Eddie, Martha and Tom was crowded; beer and food were good; and jamming was heavy! See you all next year! 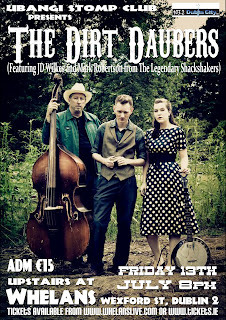 The lineup for this year's Appalachian and Bluegrass Music Festival (31 Aug.-2 Sept. 2012) at the Ulster American Folk Park, Omagh, Co. Tyrone, Northern Ireland, can now be seen. The list of bands confirmed up to date includes six acts from North America (led by Michael Cleveland & Flamekeeper and Don Rigsby & Midnight Call (USA), three from elsewhere in Europe (the Blue Grass Boogiemen (NL), Covered Grass (D), and Toy Hearts (GB)), and five bands from the island of Ireland. 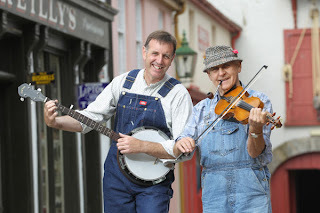 More details are on the Festival webpage and the Bluegrass Ireland Blog. 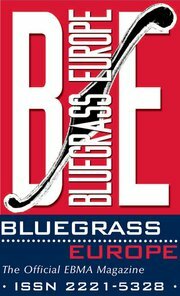 The Appalachian and Bluegrass Music Festival is a founder member of the EBMA Festival Network. About 10,000 visitors are expected to pay admission to the Folk Park during the Festival. The photo above shows Richard Hurst, organiser of the Festival and former EBMA chairman, with stained-glass craftsman and fiddler Geordie MacAdam of the Broken String Band, who plays traditional Ulster music as well as old-time and bluegrass. EBB readers who are on Facebook can keep up with further Omagh Festival news through the Ulster American Folk Park's Facebook page. 26 Aug. Yuzhen park, stage Nishava St.
17/18 Aug. We will play at Visagino Country Music Festival, Lithuania. Check out our new videos on our YouTube channel. Have a great summer! 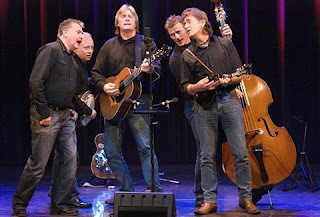 The Cajun band Two Time Polka, based in Cork city, Ireland, with a mandolin player (Ray Barron) heavily influenced by Bill Monroe, will be playing the following shows in early July in Denmark, Belgium, and the Netherlands. Thurs. 12 July McCormack's Irish Pub, Grote Markt 4, Turnhout, Belgium. 10.00 p.m. Adm. free. 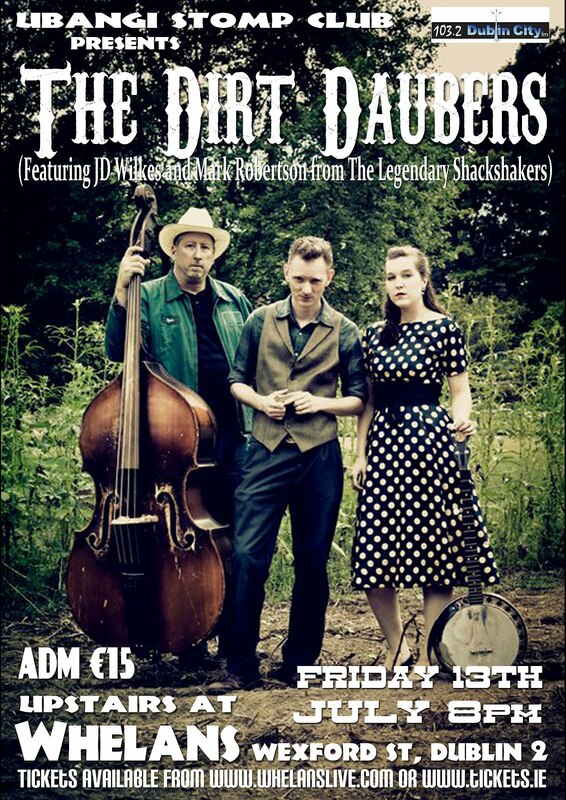 Fri. 13 July Grande Cafe de Douairiere, Steenstraat, Boxmeer, the Netherlands. 9.00 p.m. Adm. free. Sat. 14 July Baudelpark Stage, Gentse Feesten, Ghent, Belgium. 10.00 p.m. Adm. free. get information on upcoming concerts. The deadline to send in dates for BE #84 is NOW! Please send in your public gigs and concert dates between 15 July and 31 October 2012. We need your information in a format we can easily edit. The spreadsheet that you can download here was developed for you to enter your dates. Sorry, we will only accept dates sent in this format. Please make sure there are more bands featured than Poutnici (who have already sent in their dates, thank you!). Mail back the completed form as soon as possible, no later than 25 June. If you don't get Bluegrass Europe in your mail, but you would like to, please consider a subscription at only €25 a year. Get it online here. We also have some space available for advertisements; the rates are fair (we think). Please have a look at the data sheet and contact us here for more information. 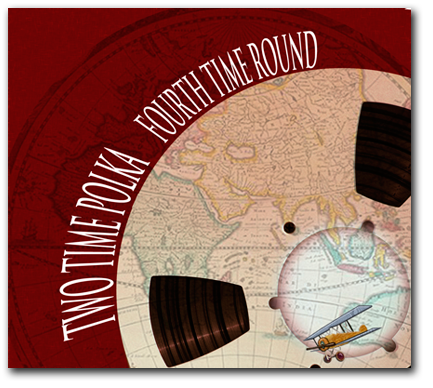 A next call will be sent sometime in September 2012. Thank you for your contribution! 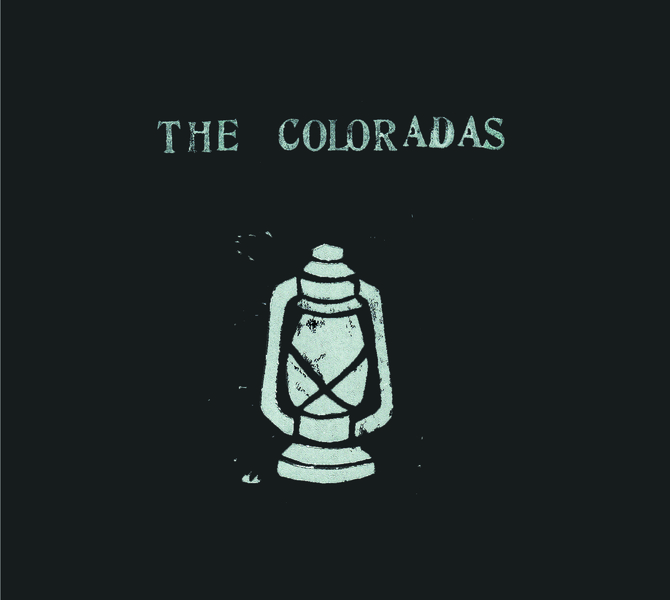 Thanks to Roy Davis, singer, songwriter, and guitarist of the Coloradas (USA), for the news that the band got back from their first European tour a few weeks ago. 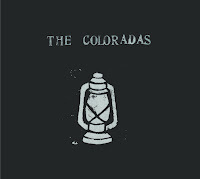 It was such a success* that the Coloradas are planning another European tour this coming September, with shows in Germany, Switzerland, the Netherlands, and Norway. The tour just past was made by a Coloradas duo (Roy Davis and Bernie Nye), performing mainly arts venues and small clubs or house concerts. For bigger shows, extra players were enlisted; the photo above right shows Roy and Bernie on stage at the Karl May Festival in Germany, with Tomáš Kubín from G-Runs 'n Roses (CZ; mostly hidden) on bass. Larger lineups of the band in the US can be seen on their website. *Find out on their website how the Coloradas got their name on a German beer label. They can also be seen on YouTube. 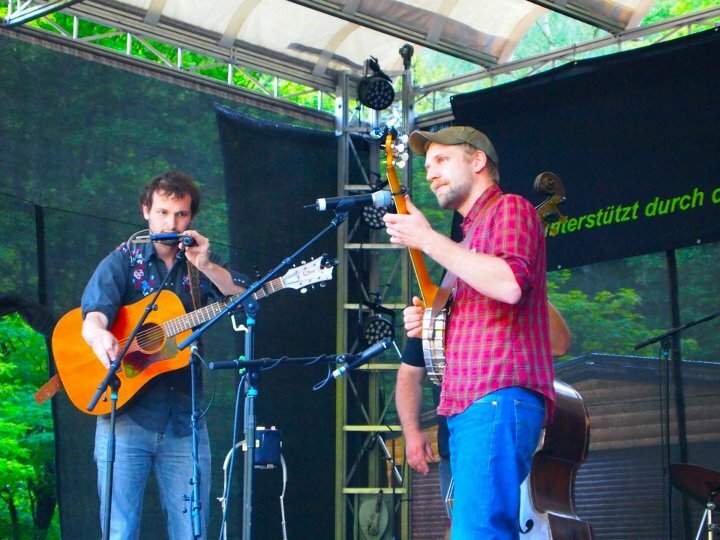 'It is becoming more and more common for bluegrass artists in non-English speaking parts of the world to write and sing songs in their native tongues.' That's the beginning of a feature published yesterday on Bluegrass Today. Pride of place in the article is given to the Wortmann Brothers of Germany, who can be seen and heard performing their topical song 'Ei und Hering'. The Danilo Cartia Band (I) will be playing at the McTower Pub, Via della Rustica 1, Rome, on Saturday 16 June 2012. Admission is free. 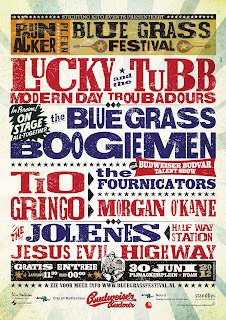 On Saturday 30 June 2012, on the most beautiful square in Rotterdam (Holland), we will be happy to welcome you to the second Pijnackerplein Bluegrass Festival! 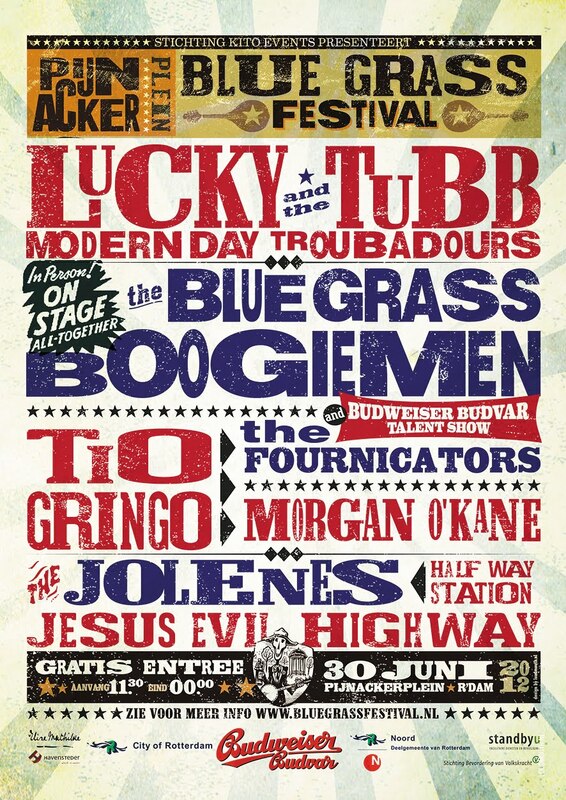 With fantastic bands from the world of bluegrass, hillbilly, and punkgrass, like Lucky Tubb and the Modern Day Troubadours (USA), the Blue Grass Boogiemen (NL), and many more! See our website for full details. Admission is free. The programme starts at 11:30 AND we will be having a Stringpickers contest! You can win up to €400 worth of musical supplies. Check our site for details. Our spring concert season is winding down, and we will finish with a visit from Rocks & Ivy from Belgium and Holland. We have had a full schedule this spring, with two Swedish bands (South Drive and a return visit from the Hillfillies), a Norwegian band (Julie and the New Favorites, also returning to our stage), and the first-time visit of the Danish group Muleskinner. We were also extremely pleased to host one of the best European bands, G Runs 'n Roses, and the first-class American band the Gibson Brothers, who started their European tour in Copenhagen. Plans are already made for the fall, and we start out with a brand new Danish band, Ungrassified. We are pleased to have some new bands starting here, and hope that the trend continues. We are beginning a compilation of the history of bluegrass music in Denmark, and if any of you have pictures or other relevant historical material from Danish participation in European events that you could loan us, we would be happy to receive it, and will of course return it. Je suis au regret de vous annoncer qu'il n'y aura pas d'édition 2012 de notre bel événement. 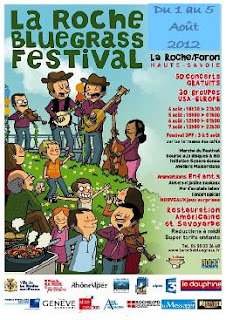 Le manque de moyens financiers ne nous permettra pas d'organiser un huitième Picnic Festival dans de bonnes conditions. Je remercie les fidèles de la première heure (et ceux des heures suivantes...) d'avoir participé, apprécié (j'espère...), de nous avoir aidé, encouragé, soutenu. Nous espérons revenir en 2013 pour vous proposer à nouveau un festival original et unique dans notre belle région. D'ici-là, portez-vous bien, abusez du bluegrass, du celtic et de la Guinness, on compte sur vous pour porter haut ces valeurs! 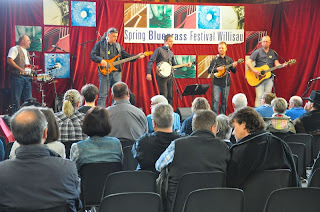 The Polish band WiesBand Bielany (shown above on stage at last month's Spring Bluegrass Festival Willisau in Switzerland) announce that they have given serious thought to starting in their village the first and only Polish bluegrass festival, BluegrassDay Bielany, which is provisionally scheduled for 30 July 2012. A website and Facebook page for the event are in preparation. Meanwhile, the 2012 BluegrassEvening Bielany is planned as an intimate evening with bluegrass music by two or three bands. 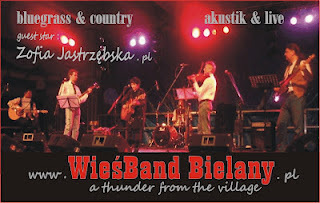 The Wiesband Bielany are the first Polish band to perform country music at the Philharmonia of Wroclaw, which they did on 22 May 2011, supporting the Joscho Stephan Quartet. This year they have started their KinderGarden Bluegrass Summit – a series of concerts for children in kindergartens and primary schools. More details are on their website. From 13 to 15 January 2012 there was the 7th Winter Musical Camp that took place in the Cottage Kosodrevina under Chopok in the Low Tatras. 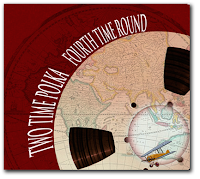 As proof of the high level of activity, twenty-four bluegrass and country bands took part from Slovakia, the Czech Republic and Moravia, Netherlands, and USA. 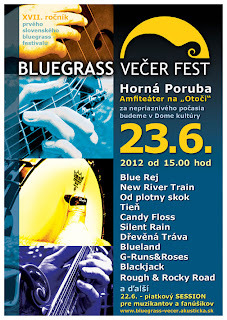 These days, on 23 June we are expecting the 17th year of the first Slovak bluegrass festival, called Bluegrass Evening Fest, in Horná Poruba [see poster image]. The Bluegrass Festival will take place in Nová Dubnica on 25 Aug. 2012. In Slovakia there are next three country festivals with bluegrass band participation. The international country festival Zámocké Country took place on 1-2 June 2012. The Country Fest Malá Mača will be held on 8-9 June 2012, and the 5th year of the Country Fest Rozmarín Terchová will take place on 3-4 Aug. 2012. A new range of designer bluegrass T-shirts in black and white, featuring all the bluegrass instruments and printed on heavyweight premium-quality 'Fruits of the Loom' T-shirts, is now available, thanks to professional graphic designer and illustrator Anne Steel of © Maui Waui Design in Norfolk, England. 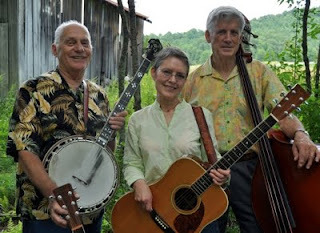 Anne plays banjo, guitar, and ukulele, attends the annual Sore Fingers Summer School, and is working on more designs reflecting her passion for bluegrass and country music. 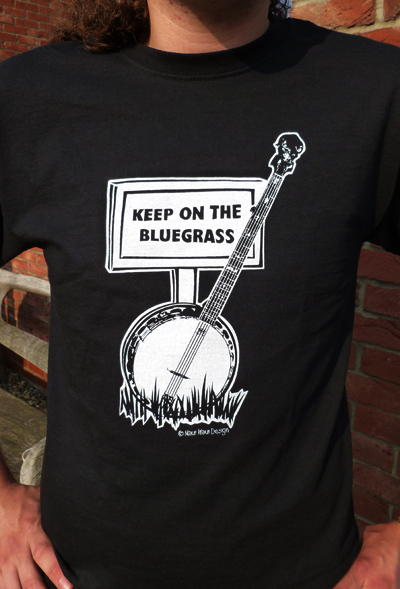 Full details of the present range, with sizes, prices, and online purchase facilities, are shown on her 'Keep on the Bluegrass' website. Custom variations in colour or shirt style may be possible; check with Anne via the contact details below. I wanted to thank you again for posting my request for singers back in March to join a shape-note singing group in the Bochum/Ruhrgebiet area. To that end, I have set up a blog to (hopefully!) 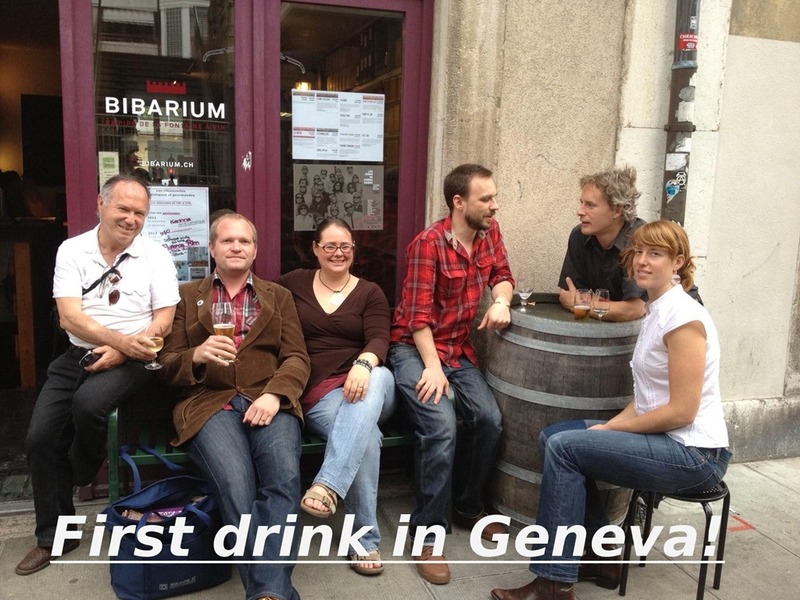 draw some interest from Germans and English-speaking expats who are curious about the genre. Anyone who wants to can visit my blog and get in touch with me personally. I don't have a time and place worked out yet, but that depends on the interest level and the location of those who might participate. I already have support from the Bremen and Frankfurt singing groups to come out and help get things started. I also have some local contacts who might be able to help with the venue. I appreciate your willingness to spread the word before, and hope that I can encourage some brave souls to participate. Incidentally, my wife and I had a great time at Grevengrass. 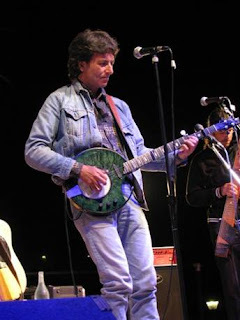 The 15th annual Acoustic Guitar Meeting was held in Sarzana, Italy, on 23-27 May 2012. The many performers included David & Nancy Bromberg (USA) and Bob Brozman (USA), with a full supporting programme including talks on guitar issues, and exhibitions of instruments by major guitar-building companies as well as independent luthiers. Full details are on the Acoustic Guitar Meeting website. Daily blog entries by John Thomas, an American musician attending the Meeting, can be read on the website of the Fretboard Journal. 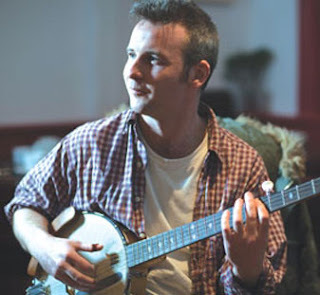 The Czech banjo player (and CzBMA and EBMA president) Petr Brandejs has received the first European Wernick Bluegrass Music Method Provisional Certificate. Petr plans to start this unique method in his area in the eastern part of the Czech Republic this autumn or in 2013, and will modify it for the Czech conditions, especially to minimise the language barrier through translation of all written materials. Besides that, Petr keeps organising his own workshops where the instructors teach instrumental skills on the different instruments. The Wernick Method differs greatly as it aims to help students jam right away, with only the need to play four chords: G, C, D, and A. The classes will be held on 8 Sunday afternoons for a reasonable fee. Bluegrass Cwrkot recorded their sixth CD, called Hear that sound. Young talented band Twisted Timber released their first CD, Free ride of our lives. There are more annual bluegrass workshops in sight: XXIII. 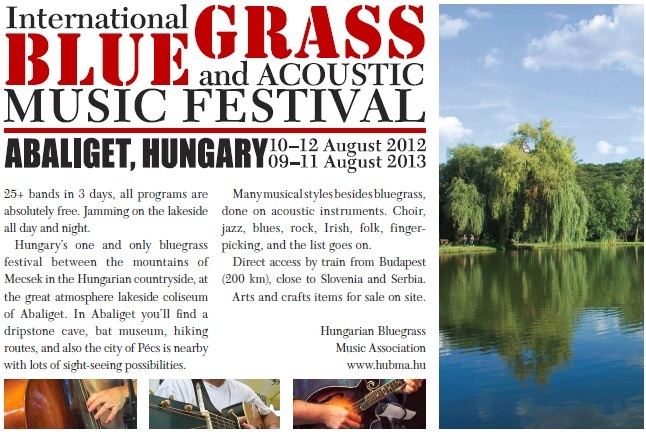 Summer Bluegrass Workshop in Hustopeče in August, Dílna s prasetem in September, and Petr Brandejs's and Jindra Hylmar's Autumn Bluegrass Workshop in Male Svatonovice on 12-14 October (for info, contact Petr Brandejs by e-mail.com). The master of the banjo, Béla Fleck, is coming to the World Music Festival (Festival Músicas do Mundo - FMM), of SInes, Portugal, to present his project with the African singer, Oumou Sangaré (left), on 21 July [see here]. 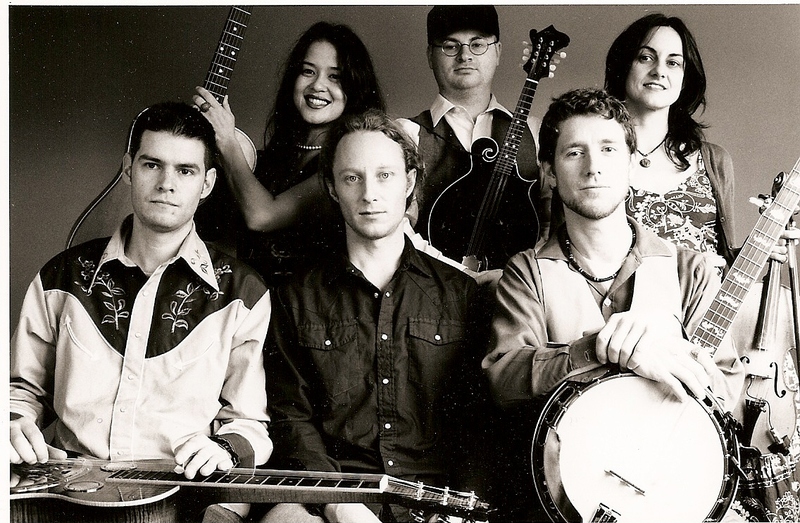 Their collaboration started after Fleck's documentary Throw down your heart, about the origins of the banjo. The only Portuguese bluegrass band, Stonebones & Bad Spaghetti, will appear once again on the biggest festival of Portugal, Festa do Avante, on 8-9 September. A video of Oumou Sangaré singing 'Djorolen', accompanied by Béla Fleck, can be seen here. An interview on the Afropop website with Béla Fleck about his Africa project mentions 'Djorolen' as an example of power from understatement. Thanks to Thierry Schoysman of Rawhide, the Sons of Navarone, and Bluegrass in Belgium for this YouTube link to a rather special music video. The audio track is Rawhide's recording of the Kiss song 'I was made for loving you'. The video shows Thierry's son Willem (guitar), daughter Luna (fiddle), and their friends Veerle (banjo) and Nele (mandolin) - and they really nail the number to the wall. The future of bluegrass in Belgium is clearly in safe hands. 9-10 June: Country West Fest will be held for the second time in the town of Bankya, near Sofia. The programme features Lilly of the West, Kaliana, Medikus, the Boko Blues Band, and other country/bluegrass-related bands. Muzenergo Jazz Festival in Dubna, Ivanovo, and Moscow. 3 July: Lilly of the West will perform at the US embassy in Sofia, to celebrate Independence Day. 11 July: Lilly of the West will have an open-air concert in the Zaimov Park, Sofia, with guest musicians from Slovakia. Other park concerts are scheduled for August. 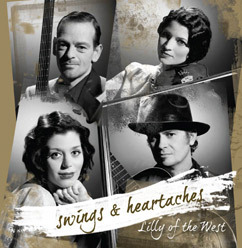 17-18 August: Lilly of the West is featured in the festival programme of the Visagino Country Music Festival, Lithuania. Lilly of the West has released a video clip to the song 'Who knows what tomorrow may bring', from the album Swings & heartaches. A new video to the song 'Gotta lotta rhythm in my soul' is on the way (trailer here). 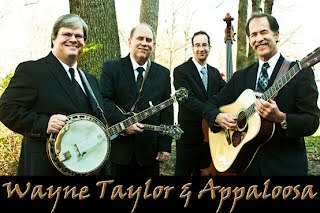 Traditional Iberic music with a bluegrass touch. Salud! 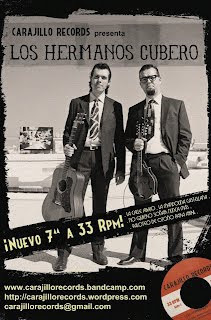 Los Hermanos Cubero are also on MySpace.